Today, January 10, 2018, marks the start of the winter sale season! We have curated the best addressed in Paris for you to be sure you have fruitful shopping outings during the seasonal sales. From the department stores on Boulevard Haussmann to the tiny boutiques of the Marais and the luxury brand outposts on the Champs Elysées, you will find all the information you need in this article. Printemps, Galeries Lafayette… Boulevard Haussmann is an absolutely must when it comes to shopping in Paris. The department stores of this boulevard are fashion epicenters that abound in tons of things to fall in love with: men’s and women’s clothing, children’s apparel and toys, accessories, jewelry, cosmetics, furnishings and more. You will find plenty of well-known brands, such as H&M, Uniqlo, Mango and Zara. You can also look up to admire the splendid stained glass cupola at the Galeries Lafayette. On the first day of the sale, these department stores throw open their doors at 8 am. To avoid the crowds, it’s best to go as soon as they open. Another famous department store in the Marais district is BHV, a shopping classic and an excellent option to kick off the 2018 Paris sales season. Printemps Haussmann address: 64, boulevard Haussmann, Paris, 75009. Take Métro lines 3 or 9 to the Havre-Caumartin stop. Galeries Lafayette address: 40, Boulevard Haussmann, 75009 PARIS. Take Métro lines 7 or 9 to D’Antin-Lafayette stop and or Métro lines 3, 7 or 8 to the Opéra stop. Treat yourself to a unique shopping experience at the Galeries Lafayette with an online reservation with PARISCityVISION! If you like luxury boutiques, head to the Champs Elysées! Louis Vuitton, Prada, Dior, Chanel and many other luxury brands have set up shop on the world’s most beautiful avenue. But even if you can only afford window shopping, a stroll from the Arc de Triomphe to the Place de la Concorde is still a great option. So, you are not a denizen of luxury boutiques and would prefer more affordable purchases? This grand avenue also has more traditional stores, such as Zara, H&M, Sephora and Disney. It’s a sure bet for smart and stylish shopping during the 2018 sales in Paris. Directions: To take advantage of the 2018 sales in Paris on the Champs-Elysées, you can take the Métro to the Champs-Elysées/Georges Clémenceau stop (lines 1 and 13) or to the Franklin D. Roosevelt stop (lines 1 and 9). Another favorite spot for shoppers in search of great deals during the sales is the shopping center at Châtelet-Les-Halles, which has all the latest hot brands, as well as a large movie theater and restaurants. This shopping center is a snap to reach by public transit, making it all the more perfect for sale hunters. However, you should be prepared for an incredibly dense crowd during the sales period. The Les Halles Métro stop on line 1 is the closest station to the mall. You can also get off at the Châtelet stop, which is served by lines 1, 4, 7, 11 and 14. Not far from the Châtelet center lies the Rue de Rivoli, another recommended spot for shopping the sales. Located in the 1st arrondissement of Paris, it stretches nearly two miles and hosts fashion, home decor, sports and cosmetics shops. When you’re done shopping, you can even make a pass through the famous Louvre Museum. The easiest way to get to the 2018 sales on Rue de Rivoli in Paris is to take Métro line 1 to the Louvre-Rivoli stop or lines 1, 4, 7, 11 or 14 to the Châtelet stop. This open-air shopping center in the 12th arrondissement on Cour Saint Émilion is mainly a destination for home furnishings, fine foods and creative hobbies. It happens to be an extremely pleasant place to shop the sales because you can enjoy fresh air and quiet, far from the noise of cars, and spend time on the patios of the numerous bars and restaurants. Bercy Village awaits you on the banks of the Seine in southeast Paris. The Bercy Métro stop off lines 6 and 14, is a half-mile from the shopping center. You can also exit line 14 at the Bibliothèque François-Mitterrand stop. Just outside Paris, you can shop the immense Quatre Temps shopping mall at La Défense, which is open year-round and during the sales. You could also make a trip to Val d’Europe, the gigantic shopping center in Marne-la-Vallée, or So Ouest, the latest addition in Levallois-Perret. Finally, not far from Val d’Europe and quite close to Disneyland Paris, there’s La Vallée Village, an outdoor outlet mall. It features over 100 shops and 120 brands, most of which are high-end, that offer discounted prices all year long on collections from previous seasons. La Vallée Village Outlet is a pleasant outdoor setting with narrow, shop-lined streets reminiscent of French villages. 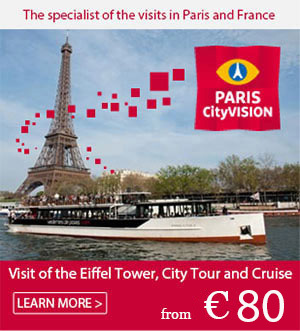 To see all our shopping and sightseeing trips, log on to PARISCityvision. Now you are armed with all the information you need to shop the Paris sales in the city’s best spots. Happy shopping!